Regular oil changes are integral to keeping your vehicle running, but an INFINITI service center that you can count on is even more important for your peace of mind and your car’s health. Our convenient hours and close proximity to Chicago allow you to come in when it’s best for you, and you can be sure we’ll get you back on the road with minimal disruption to your day. Most drivers already know that oil acts as a lubricant for the engine, but the team at our INFINITI service center near Chicago knows that it goes far beyond that. Clean oil also acts to clean, cool, coat, and protect your engine’s myriad moving parts. 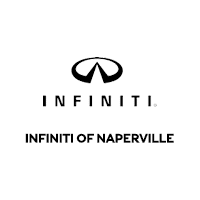 The service department at INFINITI of Naperville has been providing timely and dependable service to INFINITI drivers in Chicago for years. Our factory trained service technicians have the training and tools to provide quality INFINITI service, whether you need an oil change, tire rotation, or brake maintenance.